One of the major players that specialise in developing drive and control technologies is Bosch Rexroth. The German-based company understands the importance of automation components especially in today’s ever evolving factory of the future. Enhanced efficiency and production are two of the most dominant features that attract a customer to incorporate a technology into their respective production processes. Keeping in mind these factors, Bosch Rexroth will be introducing a range of innovations such as the digital service assistant, an industrial robot for human-robot collaboration, software solutions, scalable IoT (Internet of Things) solutions, scalable control platform, and much more at the soon to be held trade fair – SPS IPC Drives 2018 in Germany. Bosch has come up with the new Service App DSA which one can access in case of any issues relating to spare parts, repairs, and other similar services. With the assistance of the app, components are identified and status information of the machine is also revealed which helps the user to take the next necessary steps. The APAS assistant is an industrial robot that revolves around the concept of ‘human-robot collaboration’. 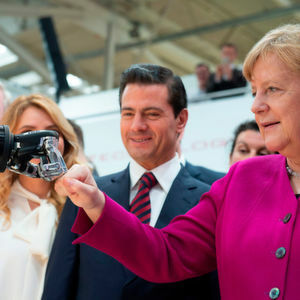 Based on Kuka’s Agilus KR 10 R1100-2 technology, Bosch’s new industrial robot comprises a capacitive sensor skin which enables the robot to operate smoothly and contact-free with its human colleagues. The APAS assistant is specifically created for the factory of the future and offers high precision, high speed, along with cost efficiency. 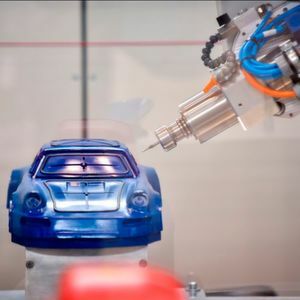 The robot also proves beneficial for carrying out diverse processes such as versatile assembly, palletising and monotonous pick-and-place tasks, independently handling ergonomically challenging procedures, etc. 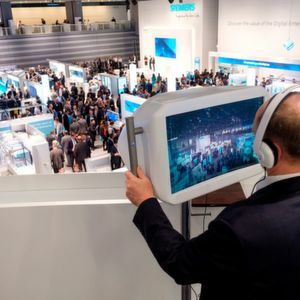 In line with Industry 4.0, Bosch Connected Industry has developed a comprehensive portfolio called Nexeed. This software solution ensures that complexity along the value stream is reduced. The Nexeed solution also makes product, process, machine and logistics data accessible to all the departments such as procurement, manufacturing, and the end customer. This simple step optimises production and logistics regarding transparency, agility, cost, quality and time. On incorporating the software, customers receive cost-efficient starter kits and easy retrofit solutions as well as comprehensive packages and matching services. The Nexeed solution can be used in single lines, entire plants and even factory networks. The scalable IoT solution includes sensors, intelligent edge, software, complete IoT solutions, etc. The IoT Gateway software is one of the most vital components of this range and is designed to conveniently network with new and existing machines. Production processes can be maximised and product quality can be enhanced with the aid of the solution’s transmitted data. 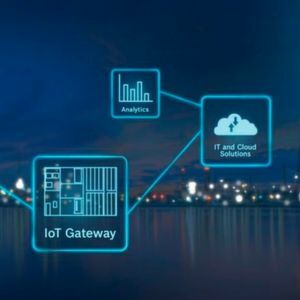 In addition to this, the IoT solutions range also offers CISS, a small and robust multisensor for harsh industrial environments that connects wirelessly to a gateway via Bluetooth. Next the SCD (Sense Connect Detect) can be used with an App as well as the IoT Gateway. The CISS as well as the SCD sensors can be installed in existing as well as new machines. Bosch Rexroth will be showcasing all of this and many more innovations at SPS IPC Drives. Do visit hall 7 and booth 450 to witness live demonstrations of numerous Industry 4.0 solutions.